Permanent European Makeup – Dr. Bose Yalamanchi, M.D. Imagine never having to purchase another lip liner or eyebrow pencil again! 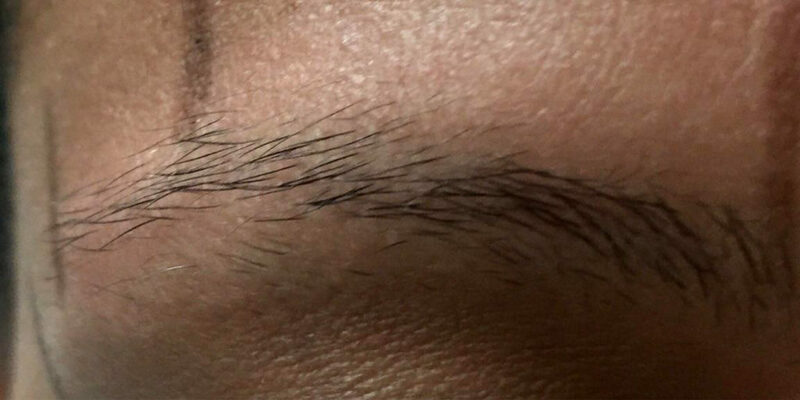 Anyone who desires fuller looking eyebrows and lips, especially those who use a pencil to fill or draw them in, will love the procedure, saving them up to thirty minutes everyday. You can go swimming, play sports or wipe your forehead without the embarrassment of not having eyebrows or uneven eyebrows. Alopecia sufferers are pleasantly surprised at how natural it looks. See examples and information below. This treatment is performed by Ofra Simhon who has over 20 years of experience in the cosmetic industry and permanent makeup tattooing. 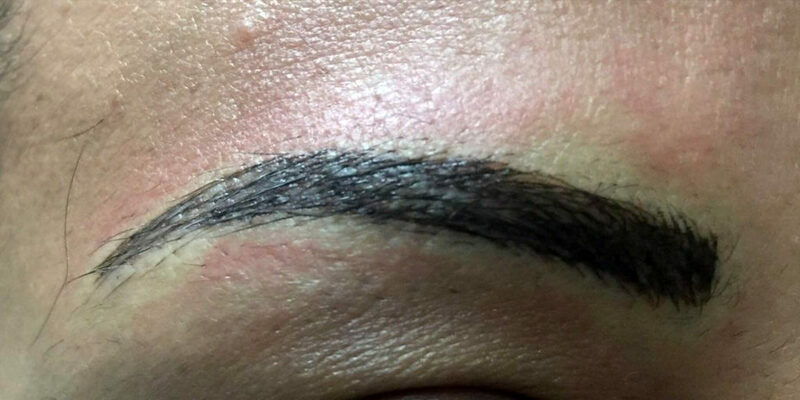 If you have faint eyebrows, no eyebrows, or partial eyebrows, then a permanent tattoo can help. Eyebrows are an important part in the beauty of a woman’s face. Misshaped, asymmetric or eyebrows that do not have a befitting shape or color, substantially change the look of the eyes and their size. Applying makeup to eyebrows with pencils and powders create an artificial appearance that fades away during the course of the day. The European Permanent Makeup technique will shape and design your eyebrows using color and intensity most suitable for you. Ofra will assess your desired shape and color and then blend the tone of your face for a natural look that will last for years. For women who are sensitive to the ingredients in conventional makeup, women with watery eyes, women who wear contact lenses and women who find it difficult to apply makeup to the eye area, the permanent eyeliner is the perfect solution. The lines are made in a delicate way adjacent to the eyelashes so that the eyes are naturally emphasized and beautiful to look at. A lip tattoo can reduce “lipstick bleed,” and give definition to the lip line. With a colored lip tattoo, lip scars disappear, plus you can kiss lipstick good-bye. With the passing of the years most women lose the color and the shape of their lips, which become pale and thin. The Permanent Makeup technique will improve the look of the lips, so that they appear fuller, of an appealing color, and sensuous at all times. The ultimate, most advanced technique from Israel! Areola Tattooing Restoration is a specialty area of medical tattooing that requires advanced education, training, and experience. This technique is for women or men that had under gone breast mastectomy surgery, breast augmentation surgery or for cosmetic purposes. Ofra creates natural looking areolas quickly and gently. The breasts look feminine and ‘normal’ again, thus raising the patient’s self esteem and body image. Areola Tattooing Restoration techniques “create” an areola after breast reconstruction, minimize the appearance of scars, or restore an areola to a more natural looking color and shape. Scars and skin imperfections from surgeries like breast reduction, tummy tuck, face life, laser treatments, and more can easily be camouflaged using cosmetic tattooing. Who is the Permanent Makeup intended for? • Practically for Every Woman!!! • For women who are allergic to conventional makeup. • For women who find it difficult to put on makeup. • For women who wear contact lenses, have watery eyes, or have eyesight problems. • For active women who want to look their best even during their workout. • For the most intimate moments, and for every woman who feels it is important to look beautiful and refreshed 24 hours a day. • Also for men! We have done wonders for men who have undergone open-heart surgery and we have concealed all visible scars on their chest with camouflage permanent makeup. • With the European Permanent Makeup technique you will feel no pain. • In addition to my painless and quick technique, I apply a local numbing cream. • Return to work within the hour. • My European Permanent Makeup technique takes approximately 15 minutes. How long will my permanent makeup last? • Between 3 to 5 years, fades away naturally and evenly through the years.